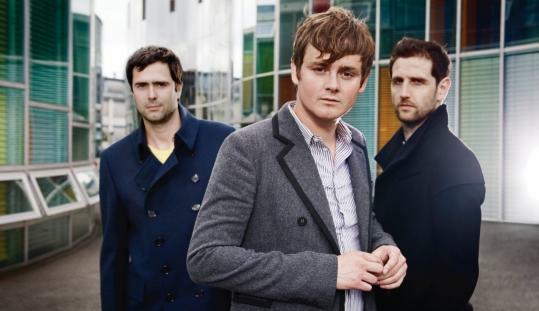 Keane's third album opens with a group of excited voices, somewhere between gasping and celebratory, expelling a tuneful "ooooh!" Fans of the ceaselessly exuberant Brit-pop trio will find themselves doing the same as the album progresses. It is a surprise and a thrill to hear that even as the band enters its "artsy" phase - expanding its instrumental palette to include mewling saws and clattering percussion - the songs remain uniformly excellent from stem to stern. That first tune, "Spiralling," opens up to a joyful "Let's Dance"-era David Bowie groove and chunky synth riffs indebted to the '80s. Luckily, it's mostly the good stuff from that decade that Keane has been listening to and refracting through its own warm sensibilities. There are airy, expansive stacks of harmonies and grinding guitars ("Playing Along") and tender vocals ("You Don't See Me") that Freddie Mercury and Queen would appreciate. The chilly electronic keyboards underscoring the weary observations of "You Haven't Told Me Anything" recall both the New Wave and the New Romantics. And, of course, there are plenty of widescreen anthems that offer spiritual questioning ("Perfect Symmetry") and uplift ("Again and Again") that pretty much everyone has cribbed from U2.